yeah, seeing as the dlc alone costs £15.99/€19.99! That's an excellent price for a digital download. I'm very tempted, but feel the irrational need to have a physical copy. Voted hot. Can I make a Canadian account in my browser, or do I need a PS4 (getting the kids one for xmas but am holding out for a black friday/monday sale) - or do I need to VPN to Canada to get into the Canadian store from my PC? ​yes, create Canadian account online then sign into it from ps4 when you get it. simples! ​yes, create Canadian account online then sign into it from ps4 when you g … ​yes, create Canadian account online then sign into it from ps4 when you get it. simples! Hello, would my save on my eu account work with this version? If you already have the game on UK disc and think this is a cheap way of getting the dlc and switching to digital and then you can sell your physical disk, then consider carefully. The USA/Can version of the game is a separate title and you won't be able to use your saves and start again with achievements too. Any links or info how to set up a account for this. And do u have to sign out and back in to use the UK account? Your post explicitly says you took offense. My paypal payment for this goes through then gets voided/cancelled, can I not pay with paypal? 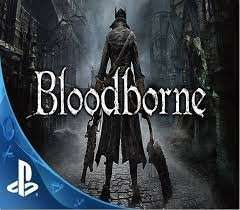 Will the online aspects of Bloodborne (and for that matter GTA V too) work playing from a UK account? edgeman13: of course, it doesn't matter...just saves won't work through different accounts, you'll have to start over.....download with cdn account, play with your uk....common knowledge. Just bought this to go with the PS4 I ordered from Shopto earlier. Voted hot. You can pick up the Order: 1886 for a little under £5 too. Your post explicitly says you took offense.You're a sponge tbh. ​oh I'm sorry I didn't mean to be a sponge. Missed by a day still a good price without the discount though.